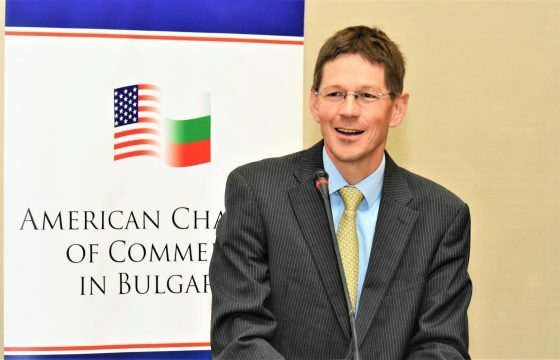 Olivier Marquette, President of AES Bulgaria and Head of Business Development for AES Eurasia, is the new President of the American Chamber of Commerce in Bulgaria. He was elected on the Board of Directors’ meeting held on January 21, 2019. Mr. Marquette served as a Board Member in the previous term (2015-2018), and was elected at the 2018 General Assembly Meeting for another term. 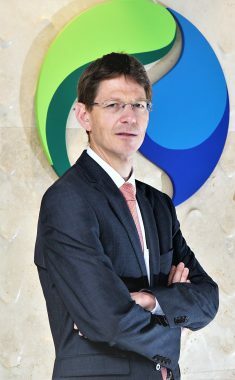 Olivier Marquette assumed the responsibilities of a President of the business of AES in Bulgaria in January 2015. Preceding his relocation to Bulgaria, Olivier Marquette has been a Manager Business Development for AES in the United States, Director Business Development for AES Singapore and VP Business Development for AES Brazil and Dominican Republic. Mr. Marquette has graduated from “Ecole Nationale Supérieure des Mines de Paris”- Paris, France. He has a Master’s degree in Mechanical Engineering at Texas A&M University- USA, and an MBA from Harvard Business School. Mr. Marquette speaks French, English and Spanish and has a working proficiency in Portuguese and Bulgarian. The American Chamber of Commerce in Bulgaria (AmCham) unites 350 American, Bulgarian, and multinational companies in the country. In its 24 years in Bulgaria the Chamber is a leading business association, and initiates events on important topics in the areas of economy, global and national policies, and social sphere.